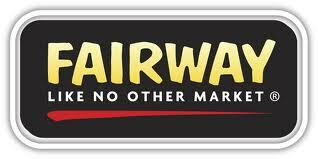 FAIRWAY is reopening tomorrow and lending big support to ReStore Red Hook! Come out and celebrate with ReStore Red Hook, local businesses, and FAIRWAY at tomorrow's reopening! We at ReStore Red Hook are deeply grateful for FAIRWAY's support and partnership to help bring our neighborhood back and better than ever from Sandy. 11:00AM: Red Hook Store Doors Open! 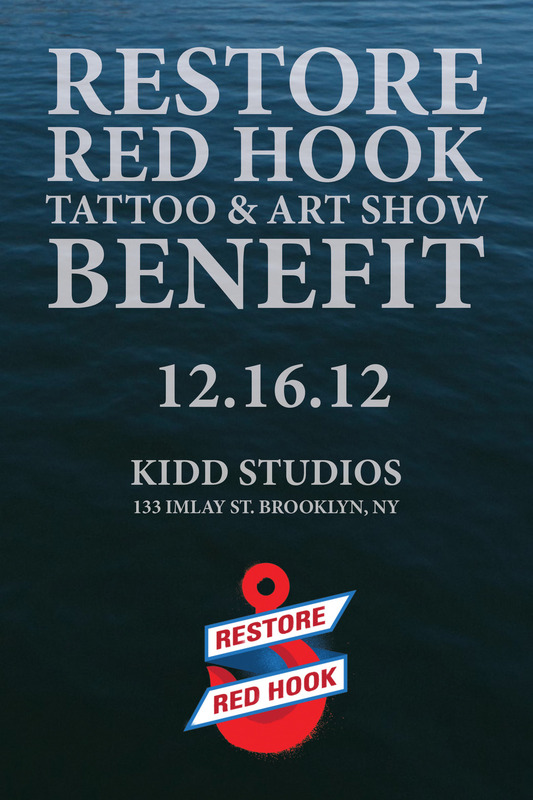 On Sunday, December 16 from 2pm to 8pm The Restore Red Hook Art Show will bring together some of the most prominent names in the tattoo industry to Kidd Studios (133 Imlay St.) for a benefit to help local Red Hook businesses affected by Hurricane Sandy. In addition to a silent auction, the benefit will offer on-site tattoos, live music, and a cash bar. The benefit is made possible by Ethan Morgan of Rivington Tattoo (175 Rivington Street), himself a well known tattoo artist who lives in the heart of Red Hook. Ethan’s neighborhood was devastated by severe flooding and power outages after Hurricane Sandy struck, October 29. (Ethan himself was without heat, hot water and power for 19 days.) While some businesses are starting to buzz back to life, many are still recovering. “This is my neighborhood, and these are people I rub elbows with everyday,” Ethan said. “I’m just happy I can give something back.” All proceeds from the auction will go directly to restoreredhook.org <http://restoreredhook.org/> . The event will include four tattoo stations offering original Hurricane Sandy / Red Hook-inspired designs created specially for the event by Rivington Tattoo. Prices start at $50. The silent auction will offer prints (starting at $20) and original artwork (starting at $50) from artists across the U.S. and as far away as Europe. There will also be a one-of-a-kind, hand-crafted tattoo machine with a retail value of $500. Participating artists include: Jojo Akermann, Robert Atkinson, Zoe Bean, Mike Bee, Murran Billi, Roberto Borsi, George Campise, Bill Canales, Nick Caruso, Stephane Chaudesaigues, Lior Cifer, Shelby Cobra, Damon Conklin , Patrick Conlon, Andy Engel, Mike Godfrey, Mark Harada, Hek1, Dana Helmuth, Sean Herman, Robert Hernandez, Marisa Kakoulas, Tim Kern and James Kern, Dan Marshall, Daniel Mirro, Rob Nunez, Pili Mo'o, Shane O Neil, Coco Octaviosen, Jeffery Joel Page, Alex de pase , Mike Pike, John Reardon, Betty Rose, Mikael Schelén, Lara Scotton, Magie Serpica, Alex Sherker, Sweety, Guy Ursitti, James White and Chet Zar. ReStore Bicycle Jerseys on Sale until December 1!! Get your beautiful ReStore Red Hook Cycling Jersey by Gage + DeSoto here only until December 1! All proceeds to benefit ReStore Red Hook. Tuesday, November 27, 2012 from 7:30 PM to 9:30 PM (EST) at the Brooklyn Brewery, 71 North 11th Street, in Williamsburg. Join Brooklyn Based and Work It Brooklyn for a night of food, beer, and stories about kitchen mishaps and surviving Hurricane Sandy with Brooklyn chefs, followed by Work It Brooklyn's signature speed networking sessions for food professionals. We'll also have food and raffle giveaways from local food businesses, so you don't have to be a food pro or network to have fun. Raffle and ticket sales will benefit ReStore Red Hook, which is helping businesses devastated by Hurricane Sandy. Food vendors will also donate 10% of sales to ReStore Red Hook and Brooklyn Brewery will donate a beer token to each guest attending. Storytellers include Paulie Gee of Greenpoint pizza joint Paulie Gee's; Allison Robicelli of Robicelli's cupcakes fame, who in the past few weeks ran a relief center out of her apartment that produced several thousand sandwiches for affected people, then started the Bay Ridge Cares Kitchen now run by Occupy Sandy; Leisah Swenson and Monica Byrne of home/made in Red Hook, and also the co-founders of ReStore Red Hook; and Jami Attenberg, author of the new, acclaimed novel, THE MIDDLESTEINS, will be reading the juicy tale of a Brooklyn chef who prefers to remain anonymous. Food vendors include Frites 'n' Meats, Dreamscoops (providing beer floats! ), Anarchy in a Jar,and Eagle St Rooftop Farms and Growing Chefs (making Micheladas!). Tickets are $15 and include a free beer and one raffle ticket. You can also select “Donate More!” to support ReStore Red Hook even further. Get your ReStore Red Hook T-Shirts! One fine morning, not too long ago, Bob Bland, Founder of Brooklyn Royalty and Director of Manufacture New York, got in touch with us and said "I have some t-shirt overstock, send me your logo, I'd love to make you ReStore Red Hook t-shirts," and we said, "awesome." Get your limited edition t-shirts here, today, before they're all gone! All proceeds go to support the ReStore Red Hook Fund to help small community businesses in Red Hook restore and reopen. JOIN ROSEANNE CASH FOR A BENEFIT FOR RED HOOK! Event: The Jalopy Theatre and Friends Present: A Benefit to Restore Red Hook, by local people for local people. The Jalopy Theatre and Friends Present: A Benefit to Restore Red Hook, by local people for local people. The evening kicks off with a square dance, hosted by NYC Barn Dance. Rosanne Cash will headline the evening, and Jesse Lenat, John Pinamonti and the Brotherhood of the Whiskey Spitter Rebellion will play. Michael Buscemi will screen his new film named after the bus that runs through Red Hook, the "B61." Rosanne Cash, Johnny Cash's daughter, has recorded eleven No. 1 singles, blurring the genres of country, rock, roots, and pop. She has received one Grammy and twelve Grammy nominations, among other awards and accolades, including an honorary doctorate from Memphis College of Art. A prolific writer, she has authored Bodies of Water (Hyperion, 1996), Penelope Jane: A Fairy's Tale (Harper-Collins, 2006), edited the book Songs Without Rhyme (Hyperion, 2001), and recently penned her memoir Composed(Viking, 2010). Rosanne's prose and essays have appeared in the New York Times, The Oxford-American, New York Magazine, Newsweek, Rolling Stone, Martha Stewart Living and many other publications. Her last record album, The List, won the Americana Music ward for Best Album of the year and was a critical and commercial success. Comedian Lizz Winstead, co-creator of the Daily Show, will open for Rosanne Cash. John Pinamonti is known for his songwriting, instrumental prowess and eclectic interpretation of American Music. Long a stalwart of the Brooklyn roots music scene, he grew up in California, Texas and Oregon, spent years playing and touring the US and Canada and has recorded and released 5 albums. Jesse Lenat is a songwriter, singer and performer who makes his home in New York City was in the original cast of RENT...but grew up in rural Pennsylvania, the son of a cactus man who went on to play Farm Aid. Jesse plays a mean Rhythmic acoustic guitar (of course a banner Gibson from the 40's) and sings with soul and sweetness to lift the spirits or cast a meditative and sometimes melancholic spell for a churchlike or juke joint human experience. We will also be welcoming to the stage a slurry of three of the Jalopy's favorite bands, The Brotherhood of the Jug Band Blues, The Whiskey Spitters, and Alex Battles and the Whiskey Rebellion. Together they become the inevitable, the unwieldy, the unruly, The Brotherhood of the Whiskey Spitters Rebellion. Ten of our favorite Palookaville players, featuring songs by Ernesto "Lover Cat" Gomez, the unequivocal Alex Battles, and favorites from the early 20th century Jug and string bands. Don't miss the conflagration as these bands run headlong into a 3 way tie for third place! Tone Johansen, co-owner of New York institution and beloved bar Sunny's - will sing a few songs about life and love in Red Hook. Jan Bell will Em Cee the night, a long time music promoter and musician, who has supported live music in South Brooklyn for more than a decade. The Brooklyn neighborhood of Red Hook was among the areas most devastated by Hurricane Sandy. On Wednesday, several high-profile writers will appear at an event to help the neighborhood on its long road to recovery. The benefit at Littlefield, a performance space in the Gowanus section of Brooklyn, is titled “Defiance,” after Fort Defiance, a Revolutionary War redoubt in Red Hook. Kurt Andersen, the novelist and creator of the public radio program “Studio 360,” will host the event. The authors scheduled to appear include Joseph O’Neill, Sam Lipsyte, Rivka Galchen, Phillip Lopate, Chuck Klosterman, Philip Gourevitch and Meghan O’Rourke. They will be reading from works about Red Hook and about recovery and rebuilding. The musicians Steve Earle and Stew will also perform. Tickets are $50, and all of the proceeds will be divided between two nonprofit organizations, Red Hook Initiative and the newly formed Restore Red Hook. Tickets and more information are available at Littlefield’s Web site. “It smells like pot,” Mr. Kumagai said upon entering that apartment. The agent agreed. In the best of circumstances, trying to find a rental in New York City is like taking a very expensive and stressful trip to the dentist. But Ms. Kirshner and Mr. Kumagai are not in the best of circumstances: they are among the thousands of New Yorkers who were displaced by Hurricane Sandy, which filled their garden-level rental apartment in Red Hook, Brooklyn, with water just a few inches shy of the ceiling and rendered it uninhabitable for months. So they are now searching for a new rental and facing a variety of challenges, including a budget strained by so much ruin, and competition from other renters displaced by the storm. But there is a special wrinkle in their quest for a new home. “My chickens bring me a lot of joy, but I know we have to be realistic,” Ms. Kirshner said. “But man,” she continued, “it would be nice” to be able to keep them. Those four ladies and their pale green coop were lodged just around the corner from Ms. Kirshner’s apartment, in an empty lot, leased by the owners of a nearby restaurant calledHome/Made. In advance of the storm, Ms. Kirshner locked her four chickens in an upper portion of their coop, about four feet off the ground, and then left the neighborhood to spend the night with relatives. Ms. Swenson, Ms. Byrne and another neighbor yanked the chickens out of their coop, which was bobbing away at a 45-degree angle, and carried them by their feet into their apartment. The chickens spent the next two days there, cohabitating just fine with the couple’s seven cats, until the coop could be cleaned and set safely upright. Once the area had dried out, a refugee chicken named Cindy appeared in a small cage next to Ms. Kirshner’s coop, dropped off by owners who needed help taking care of her. But by Saturday, Cindy had disappeared, and nobody seemed to know where she was. She remains at large. “Here’s a chicken sitting on a coffee table,” Ms. Kirshner said, displaying a photo on her iPhone. Their farmland guests, as you might imagine, make quite a mess, Ms. Swenson said. She and Ms. Byrne, who have had their business for just over six years, did not have flood insurance, so they have pinned much of their hope for recovery on a group set up by local business owners, Restore Red Hook, which hopes to raise money to help restaurants and shops reopen. With the financial straits that lie ahead, they may be unable to keep the extra lot where the chickens live. So Ms. Kirshner and Mr. Kumagai are searching for a place for themselves and for their feathered friends. They hope to find an apartment nearby, so Mr. Kumagai, 39, an artist and a graphic designer, can bike to his studio. And it must have a functional kitchen so Ms. Kirshner, who recently started a recipe publication, Sweets and Bitters Quarterly, can test recipes. For now, Ms. Kirshner is staying with family and Mr. Kumagai has been staying with friends or sleeping at his office. To accommodate the chickens, they would need a yard, or access to a community garden or a nearby lot where the coop can be parked. While the couple understand they may have to say goodbye to their pets, they are still trying to get the word out through friends, through real estate agents and through Twitter. In any event, Ms. Kirshner says, the heroism of her neighbors (“I don’t know if I would have done that,” she acknowledged quietly) has helped her cope. Red Hook, Brooklyn, Wednesday, November 21st at 7 pm - Join Roseanne Cash and a host of fabulous bands for a night of great music, a square dance and to support a very needy cause. The Jalopy Theatre and Friends Present: A Benefit to Restore Red Hook, by local people for local people. The evening kicks off with a square dance, hosted by NYC Barn Dance. Roseanne Cash will headline the evening, and Jesse Lenat, John Pinamonti and the Brotherhood of the Whiskey Spitter Rebellion will play. Michael Buscemi will screen his new film on the bus that runs through Red Hook, called "B61." This show will benefit Restore Red Hook. Rosanne Cash, Johnny Cash's daughter, has recorded eleven No. 1 singles, blurring the genres of country, rock, roots, and pop. She has received one grammy and twelve grammy nominations, among other awards and accolades, including an honorary doctorate from Memphis College of Art. A prolific writer, she has authored Bodies of Water (Hyperion, 1996), Penelope Jane: A Fairy’s Tale (Harper-Collins, 2006), edited the book Songs Without Rhyme (Hyperion, 2001), and recently penned her memoir Composed(Viking, 2010). Rosanne’s prose and essays have appeared in the New York Times, The Oxford-American, New York Magazine, Newsweek, Rolling Stone, Martha Stewart Living and various other publications. Her last record album, The List, won the Americana Music award for Best Album of the year and was a critical and commercial success. Music is a better noise! Put on your bluegrass shoes and grab your banjo –we'll be playing good times musics and taking to the streets to bring some happiness to our Red Hook friends and neighbors (and hopefully rai$e some money for the local businesses along the way)! We'll meet up at the Bait and Tackle Bar at 2pm, move down to Fort Defiance around 3pm and then head down to Sunny's, the bar the bluegrass jam calls home, around 4pm. **This is a very flexible idea of where we'll be and when. Just come on down and make some happy sounds with us! We hope to see you and all your friends! Here's a link with more details; please help us spread the word! When I saw the black waves of the flood lapping at the front door of my apartment last Monday night, I knew that my restaurant, Fort Defiance, was already underwater. I live only a few blocks away from the Fort in the Red Hook neighborhood of Brooklyn, and on significantly higher ground, so my hopes that Hurricane Sandy would pass us by, like so many storms before, were dashed. We've started accepting applications for businesses seeking aid — please click here if you would like to apply for aid. Your application will be reviewed within 24 hours and we will follow up with you by email or phone within 48 hours. PLEASE NOTE: All applications must be submitted by Friday, November 9th. We will be canvassing local businesses on Lorraine Street and parts of Red Hook that still do not have power or for whom using this website is not an option. Help us spread the word to business owners and please tell your friends to donate! The quirky wooden two-story storefronts of Red Hook’s Van Brunt Street are more reminiscent of a Cape Cod fishing town than the cookie-cutter architecture of the brownstone, townhouse and housing-project symmetry of the Brooklyn neighborhoods that surround it. And the area’s idiosyncratic separateness from much of New York City has long been reinforced by it’s isolation from all the arterial subways that connect Brooklyn with Manhattan and Queens. The only works in Dustin Yellin’s Red Hook studio that survived Hurricane Sandy were massive glass blocks bound for an exhibition at Lever House on Park Avenue this spring, and they had a scum line four feet up from the ground. More than 100 business owners jammed into a standing-room-only meeting Thursday afternoon in the Red Hook neighborhood of Brooklyn to hear New York City officials describe the relief assistance available to entrepreneurs who saw their restaurants, stores, warehouses and other businesses devastated this week by Sandy's flooding. Please help spread the word — send this site to your friends, your family, your enemies. We need to work together to bring Red Hook back, and we only have a few weeks before people not affected by the damage begin to forget how devastating this has been for everyone in Red Hook.